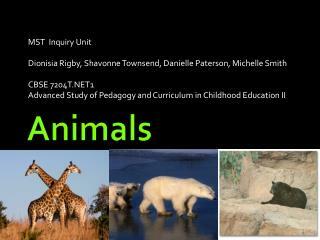 MST Inquiry Unit Dionisia Rigby, Shavonne Townsend, Danielle Paterson, Michelle Smith CBSE 7204T.NET1 Advanced Study of Pedagogy and Curriculum in Childhood Education II. 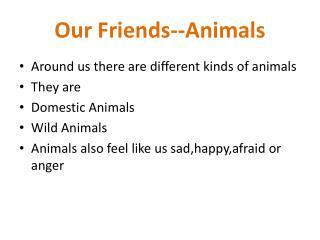 Animals . 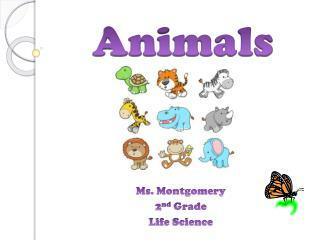 Table of Contents . 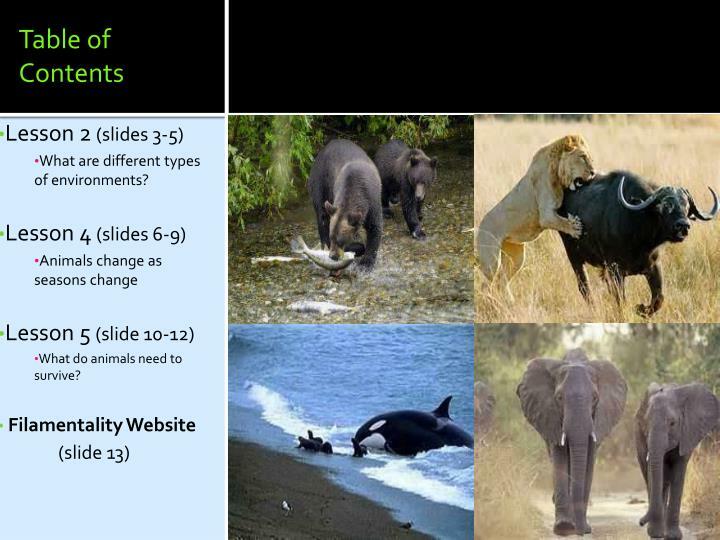 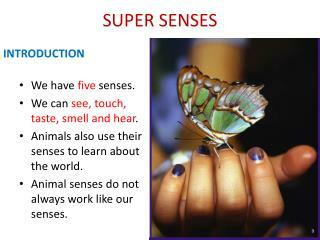 Lesson 2 (slides 3-5) What are different types of environments? 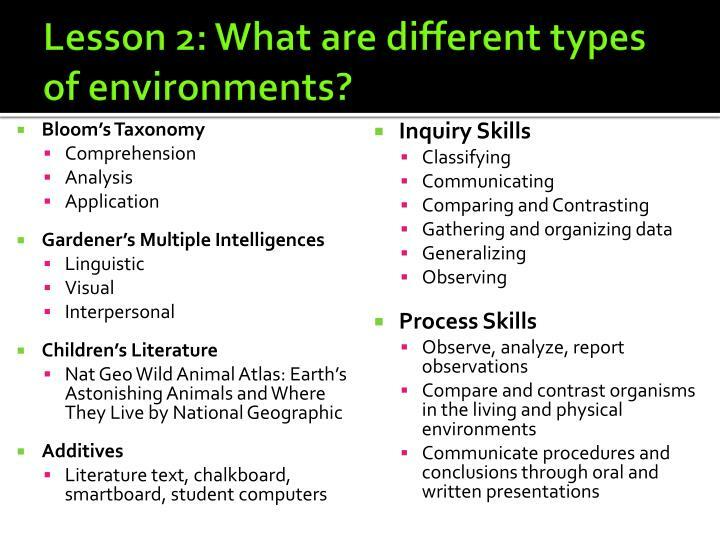 What are different types of environments? 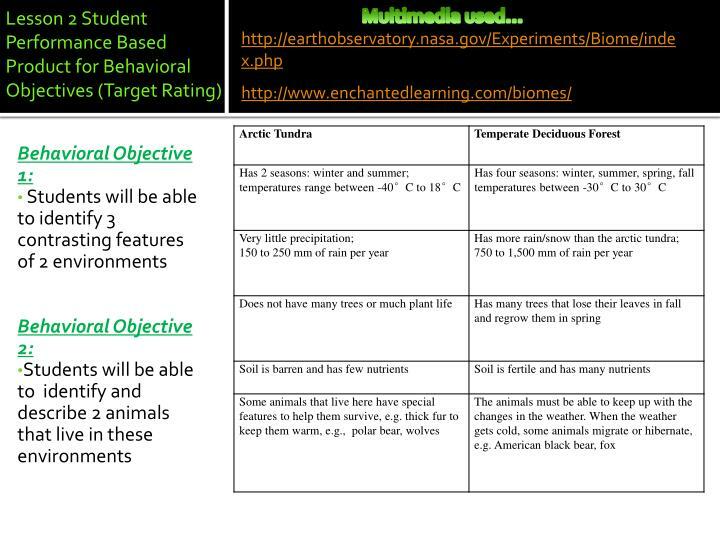 Lesson 2: What are different types of environments? 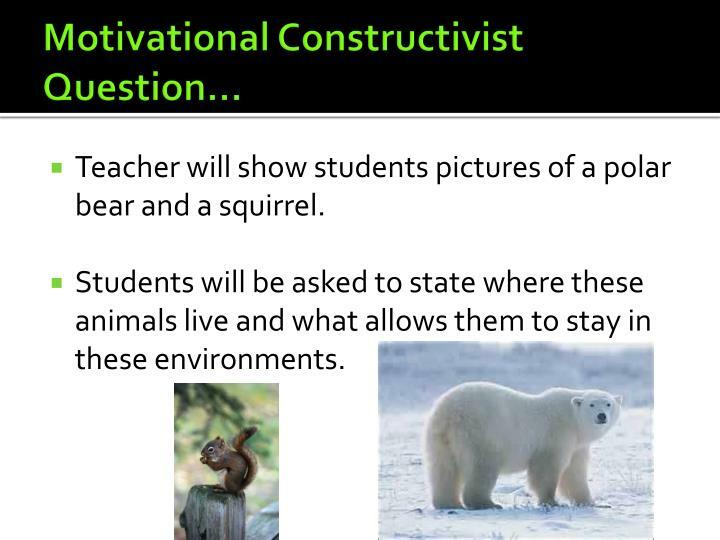 Teacher will show students pictures of a polar bear and a squirrel. 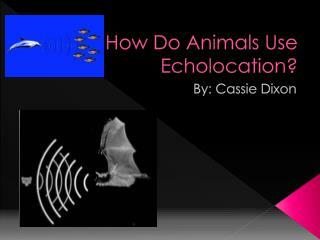 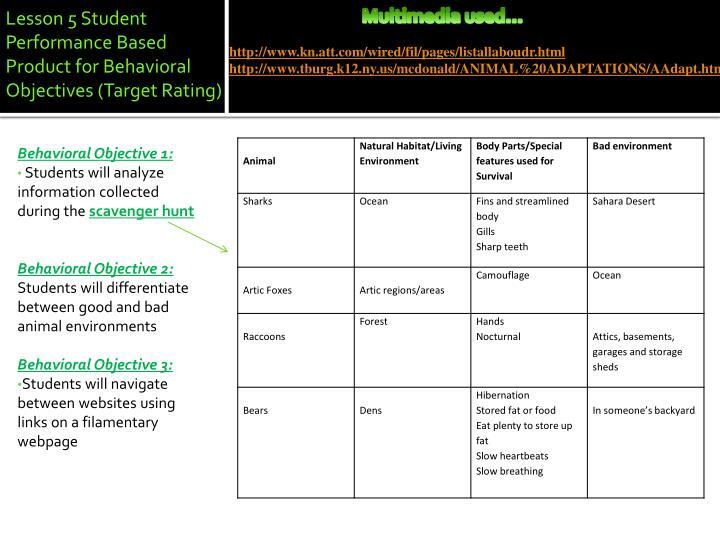 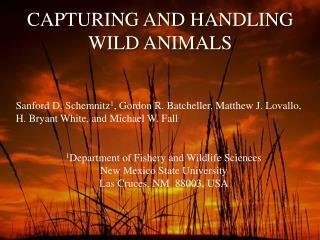 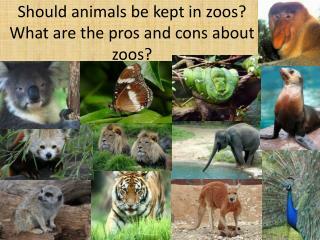 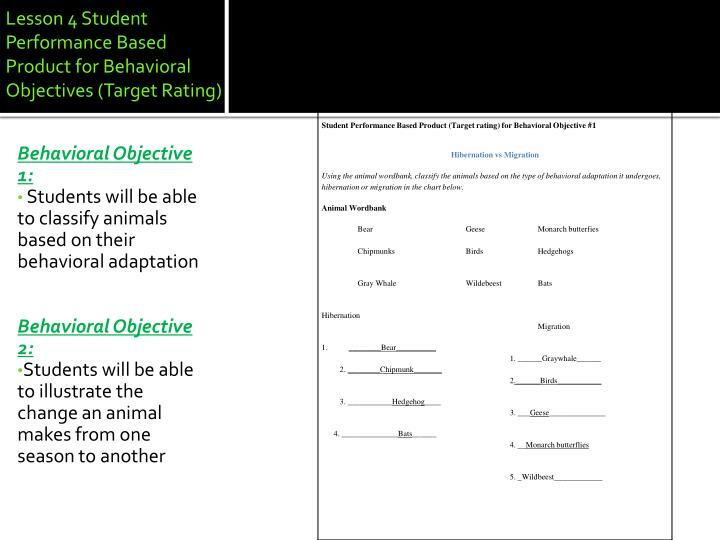 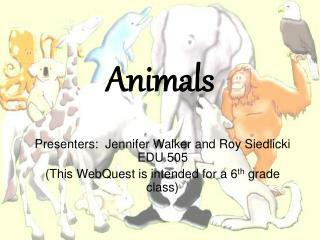 Students will be asked to state where these animals live and what allows them to stay in these environments. 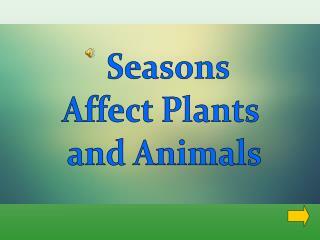 Teacher will explain that these are changes that we make as the seasons change. 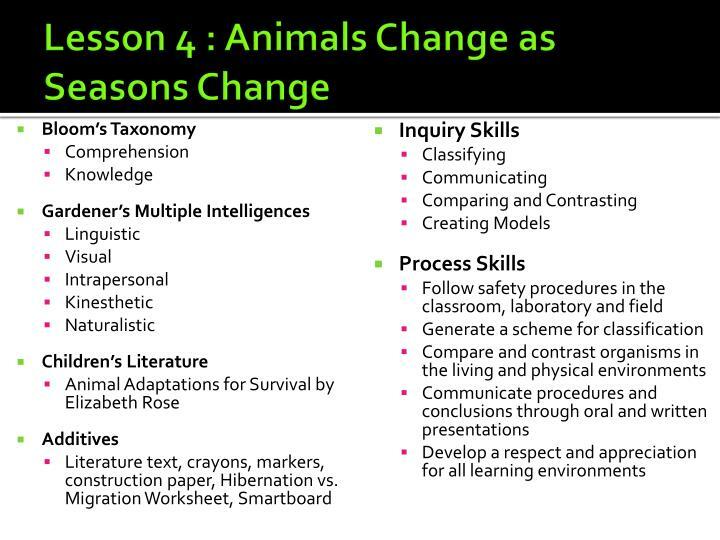 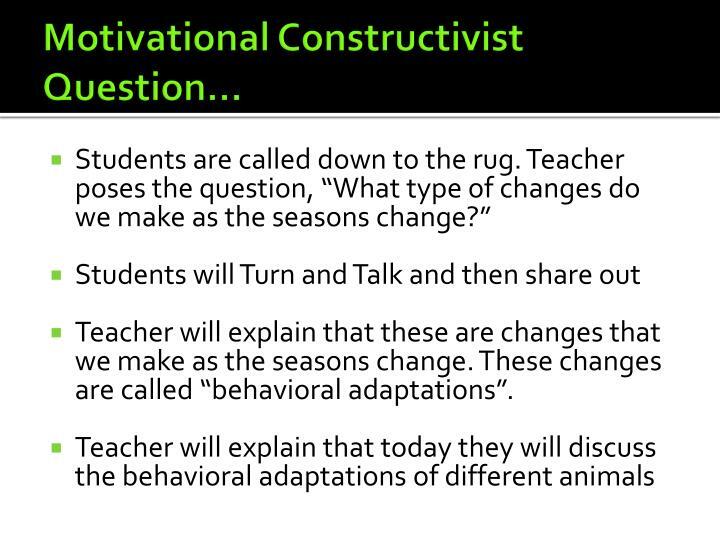 These changes are called “behavioral adaptations”. 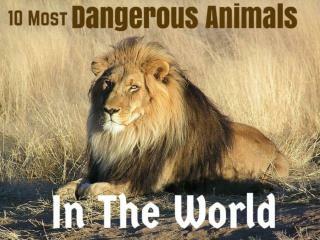 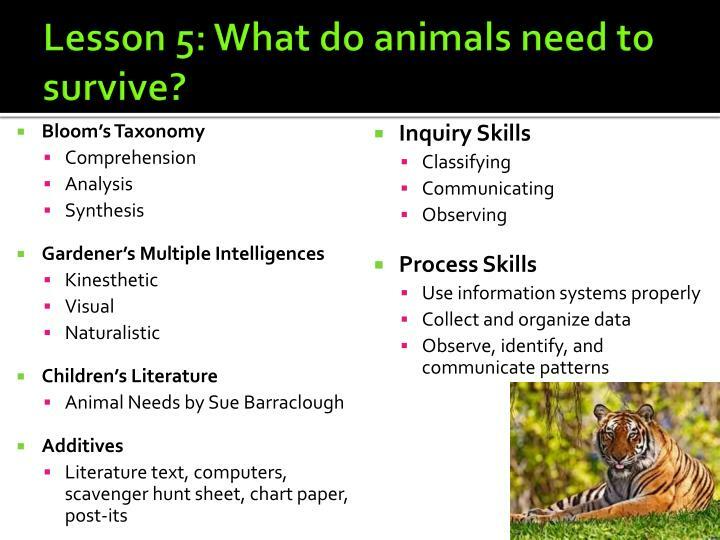 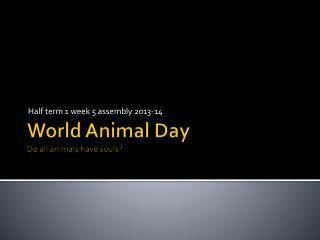 Lesson 5: What do animals need to survive? 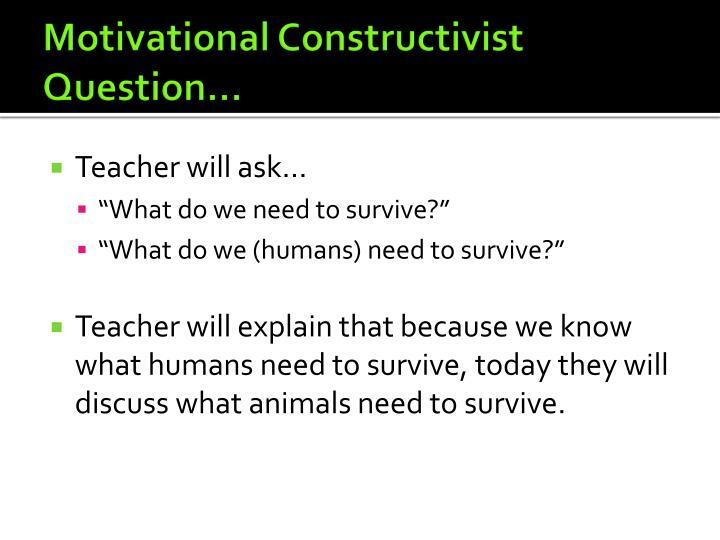 Teacher will explain that because we know what humans need to survive, today they will discuss what animals need to survive. 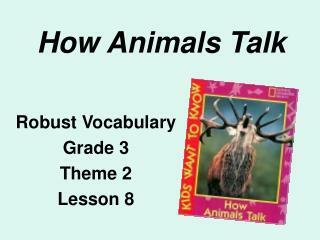 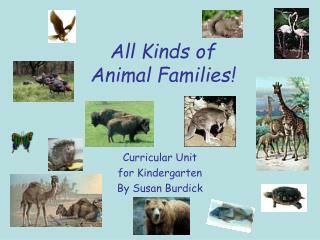 Books, Magazines, Encyclopedias, Dictionaries, etc, have helped us along our journey to learn about animals. 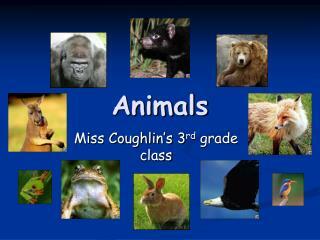 We have explored their habitats, survival mechanisms and their adaptations to their environment. 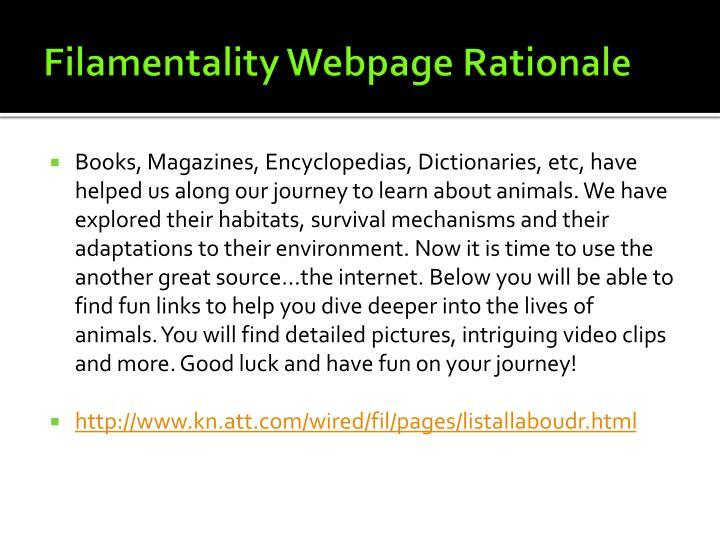 Now it is time to use the another great source...the internet. 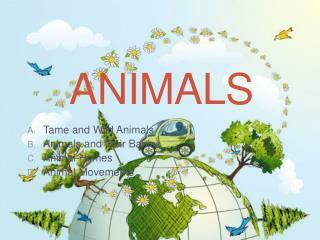 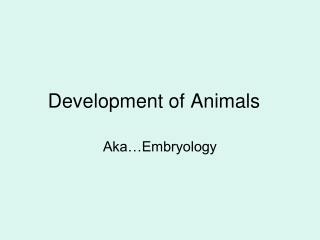 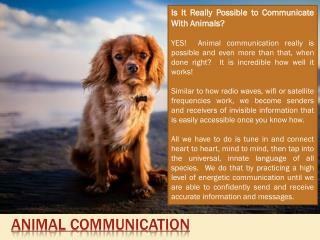 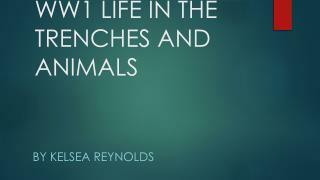 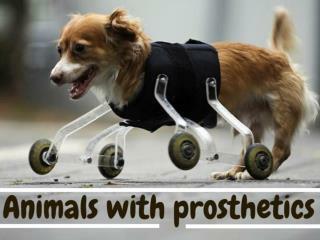 Below you will be able to find fun links to help you dive deeper into the lives of animals. 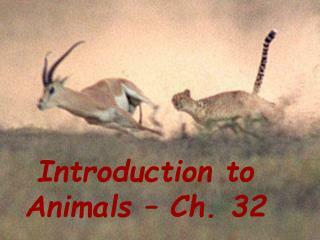 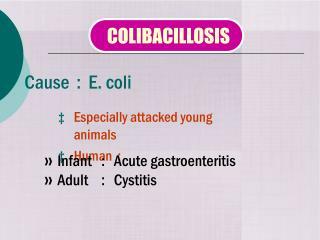 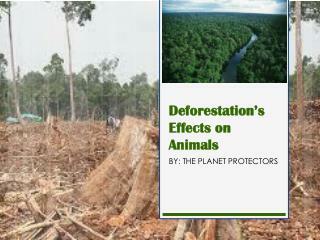 You will find detailed pictures, intriguing video clips and more. 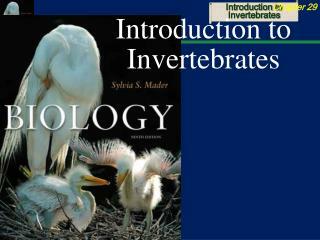 Good luck and have fun on your journey!